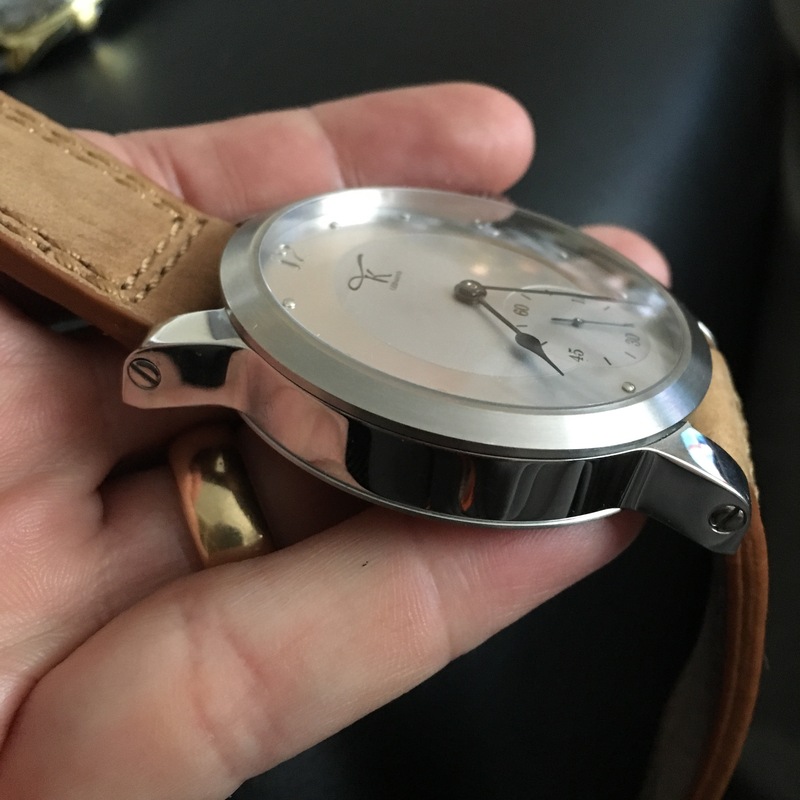 As a watch blog owner you look forward to the day you do your first hands on review for a brand, for info my terms for this are a very simple process, they are at the end of the article. When the Paladin arrived from Torsten Nagengast I had that first impression we all look for when we unpackaged a watch. 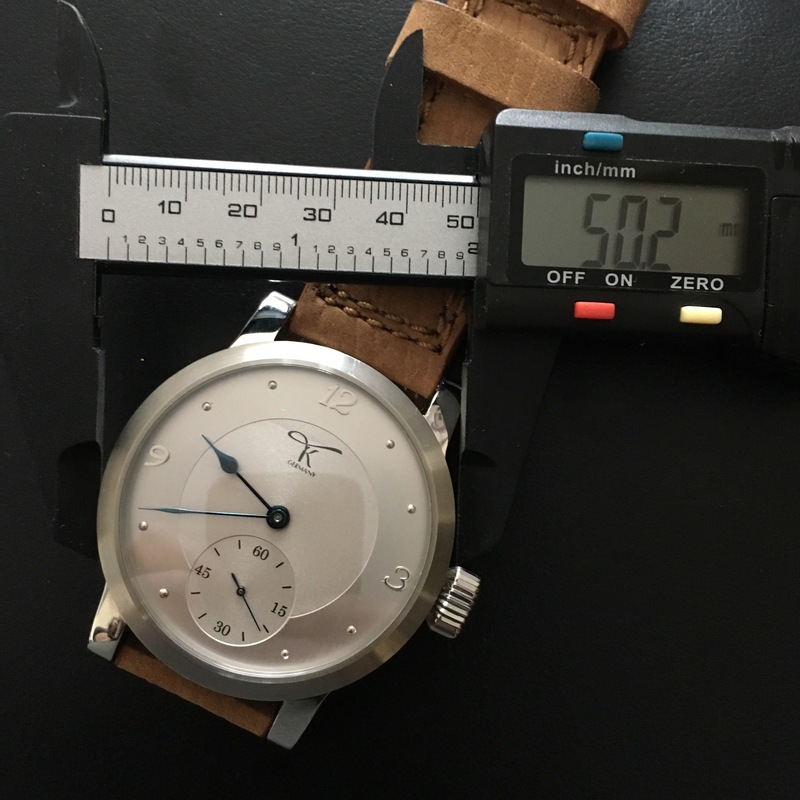 “My God – Thats a watch and half”, after I unzipped the travel case the watch is supplied with. Straight away the quality of the design draws you in with its industrial modernism design, the design is flawless and intriguing with shades of aluminium colouring with a tasteful use of blued steel. It comes as no surprise that creator has a history of automotive design with a passion for history itself. Taking the Paladin out of the case and moving it around in the light is a mesmerising experience. There is nothing unstated about this watch, you need a certain style to pull this off, its a 50mm timepiece, and with its brown leather strap looks fantastic, but i don’t have a marque of distinction car sitting on the path outside my house, and I probably don’t have the wrist to pull it off, but hell, I have a heck of a go. When you turn the Paladin over you are greeted by the true watch lovers paradise, at the heart of the Paladin is a vintage Eterna movement circa 1910, beating strongly and on full display, the swan neck movement is so beautiful to behold. The history of watchmaking is a history of enthusiasts, great innovations and fantastic watchmaker arts. Paladin (german for paladine) is our very own way to honour this great history of watchmaking. These amazing timepieces do not only undergo a reunion of fantastic historical movements and new, custom-made cases – its a rebirth of a exclusive watch. Before we created our first model, we came to a point where we had to decide how these amazing watches will be named. But how to name a watch, that combines historic decades of finest watchmaker arts and todays needs and claims? The title and extention “Paladine” was a century-long way to honour chivalrous heroes, foremost warriors and outstanding leaders – while in present days, modern tales talk about paladines as holy warriors, providing the ability of reincarnation. Could there be any better way to honour the history of watchmaking and name an outstanding watch-project like this? – We don’t think so. Every movement gets checked, serviced and adjusted by our watchmaker masters. According to our clients wishes, the movement gets special refinements and decorations. 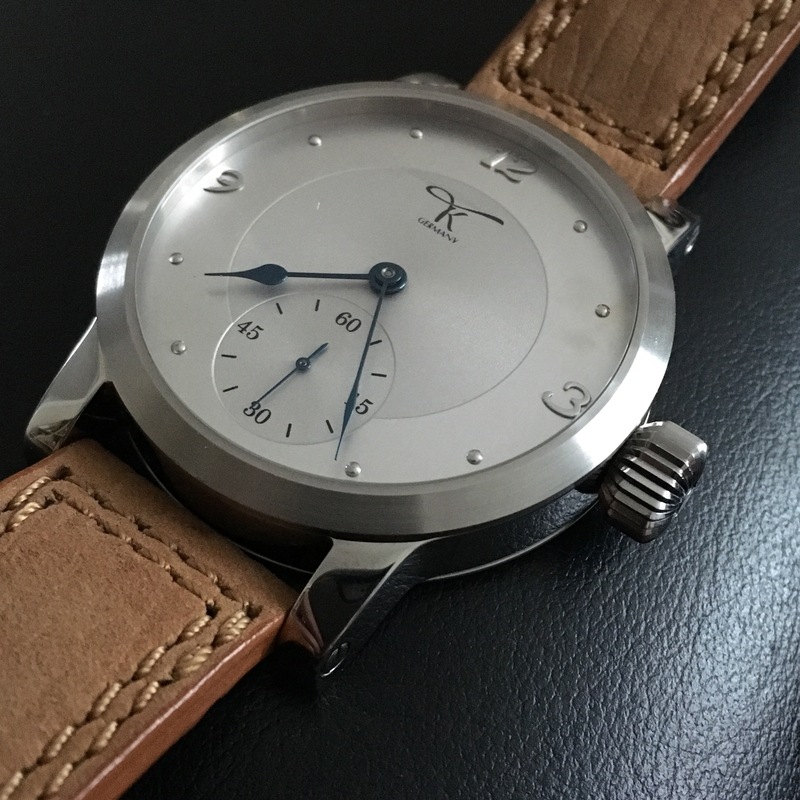 A special strong limited XL collector watch with historical movement. Big crown for optimal handling and setting. The open case back shows the historical mechanism working. 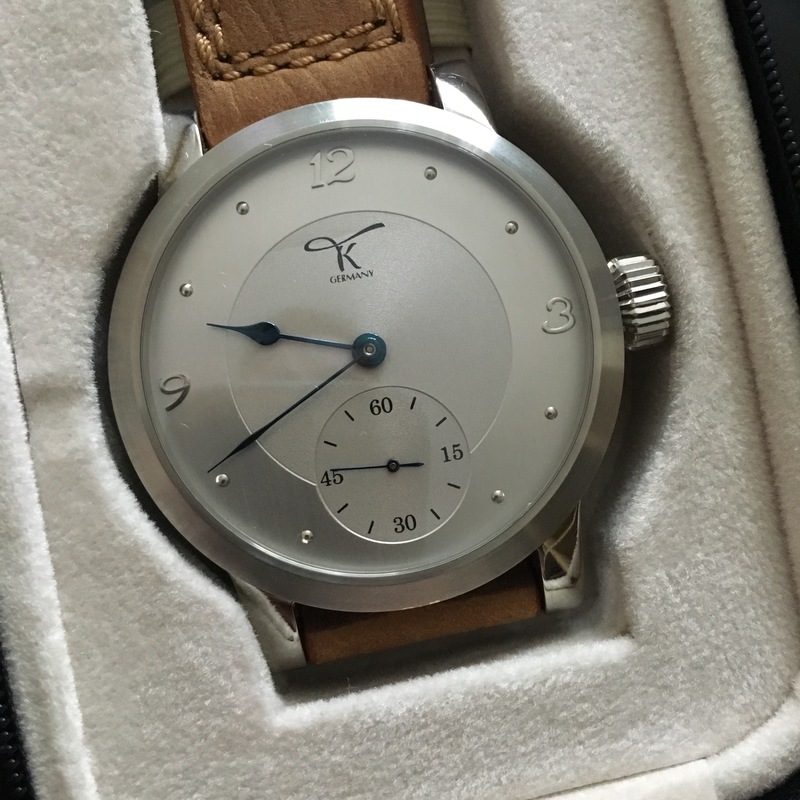 The handwound movement is made by ETERNAt which was produced in around 1910 in Switzerland. 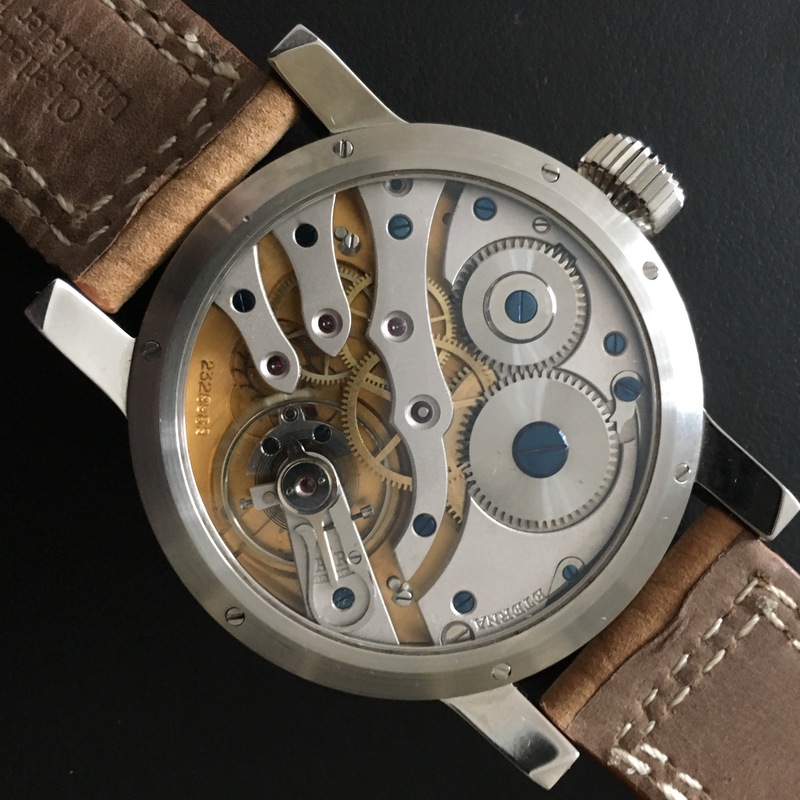 The mechanism is technical decorated with geneva stripes, perlage and blue screws. The Dial is bright matt and and has a subsecond at 6. The hands are blued by fire. Under this line we find only STRONG limited Editions, each piece is unique because of the historical movements. The Watch comes with box and papers and has 2 years guarantee. This is a beautiful watch only available for a very limited time as there are only three left for a collector to purchase, they are unique and not for the faint hearted, if you are the type of person that rocks up to an exclusive watch shop on a Saturday on a Ducati, then this is probably for you. As for the price, does it really matter?